ModernThink offers a number of number of fully customizable survey instruments within higher education, each with unparalleled benchmarking capabilities that range from as broad as Carnegie Classification to as specific as aspirational peers for a given college. Our database contains survey information from more than 1,200 institutions across the nation and abroad. The depth of data at our disposal, coupled with the agility of our proprietary survey engine, allow us to provide uniquely tailored client solutions and customer service. Please call us at 888-684-4658 to learn more about our specialized surveys and consulting. The same instrument used for the Great Colleges to Work For® program can help you assess where your institution stands on the engagement continuum, and then improve where you need it most – leadership, communication and collaboration. This tool can also be leveraged to help you meet your accreditation standards. Click here to see a sample of the ModernThink Higher Education Insight Survey©. 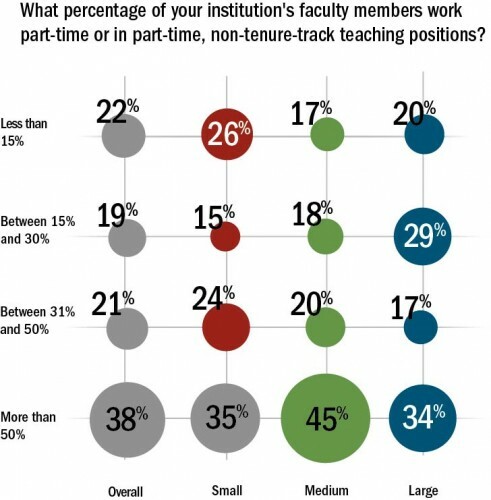 of 2-year Great Colleges Honor Roll Institutions administer employee surveys. survey, leaders are much better prepared to set meaningful goals, prioritize scarce resources, influence outcomes and measure progress over time. Click here to learn more about our Presidential Transition survey. ModernThink provides an online, turnkey administration process that makes it easy for individual institutions or entire systems to administer the same exit survey and review aggregate data online, in real time and in the formats you choose. Click here to learn more about our Exit Survey. of Great Colleges participants have retention programs. Institutions distinguish themselves in the marketplace and ultimately demonstrate value to students, parents and accreditation bodies through their student experiences and outcomes. ModernThink has a variety of student survey and assessment tools that your institution can customize to meet its unique needs. *All data sourced from the 2016 Great Colleges to Work For® program.